Ready? It’s Fire Flower time! When you see a Fire Flower, you always breathe a sigh of relief. Either small Mario and Luigi can grow to a large size, or if you are already large then you get the awesome power of firing out fire balls at your enemies. The ultimate in cool, or rather hot, this power helps you defeat even the toughest of Enemies, Bowser. It’s Block #6 in our QAL and I am ready to tackle this one right along with you all. I promise that I am all caught up on my other blocks. Two of them are drying right now in fact. And I’m headed to work on the fire flower block right after I write this. 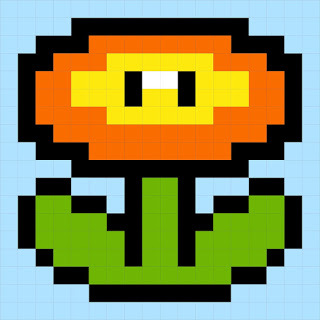 You can download the PDF of the Fire Flower Block HERE. I did want to share what some of YOU are doing! I love seeing all of the new blocks pop up. This is just a smattering of the blocks that are in the flickr group. Click on the picture to see more details and who has created them. First up are the blocks that I have posted instructions for so far. Everyone is doing their own spin on things and I love the variety yet consistency. And then there are those of you who can’t wait and jump ahead. 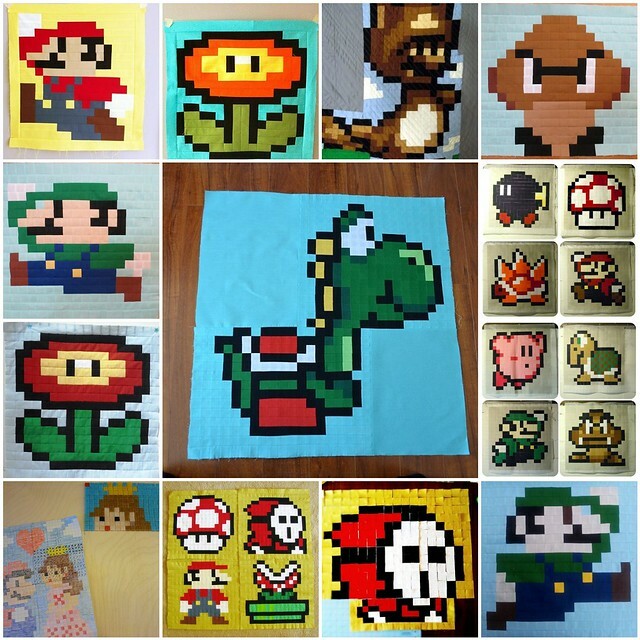 Or people who are making up their own completely awesome Mario pixel designs. 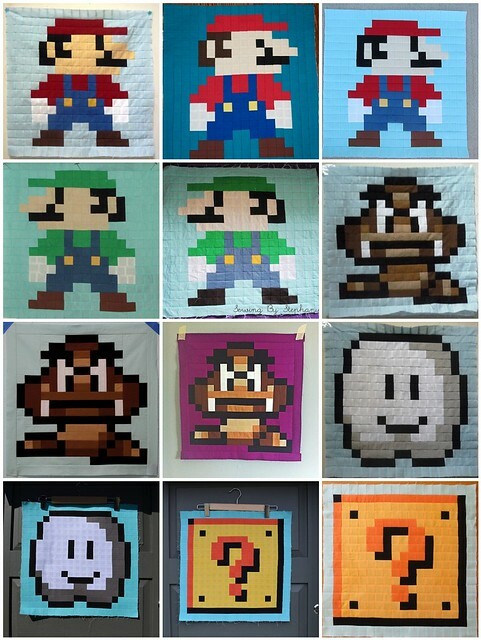 There are mosaic tiles, pillows, and tons of other characters to get those creative juices inspiring us all. The music surprised me today and the blocks are over the top awesome.